Over the years I’ve transformed from being a backpacker to more of a flashpacker. Part of this transformation has to do with my ever demanding taste buds that constantly are on the lookout for exotic foods. When I landed in Finland for the first time, roughly one month ago, I was just as eager to sample local Finnish cuisine as I was to explore Helsinki and engage in adventure sports in the Finnish Archipelago. Arriving without many preconceived expectations, I was wearing my culture vulture crooked hat with the idea I’d just dig right in – indulging in as many Finnish foods as I possibly could. I grew up idolizing Rudolph the red nosed reindeer. How could I possibly think of sinking my teeth into Santa’s Little Helper? Well, considering I’ve tried exotic meats such as llama in Peru and dog in South Korea, I’m always game for trying something at least once. A lovely plate of assorted Reindeer cold cut meat was brought to our table with a side of lingonberries and potatoes lightly dressed with a vinaigrette. My first bite of authentic Reindeer meat (more on that later) immediately had me thinking this was the richest meat I’ve ever tasted. Tender and rich in flavor it certainly tasted like other game meat I’ve tried in the past. I noticed immediately it had a bit of a sour aftertaste. Although, I wouldn’t rank it as my favorite meat, by any stretch of the imagination, I would certainly try it again. In fact, I did get to sample it again in the form of meatballs which had more of a generic taste. If I had to choose between the two I would definitely go with the cold cuts. I come from a family who adores licorice in all shapes, sizes and flavors; however, I’ve never tried salty licorice before in my life. 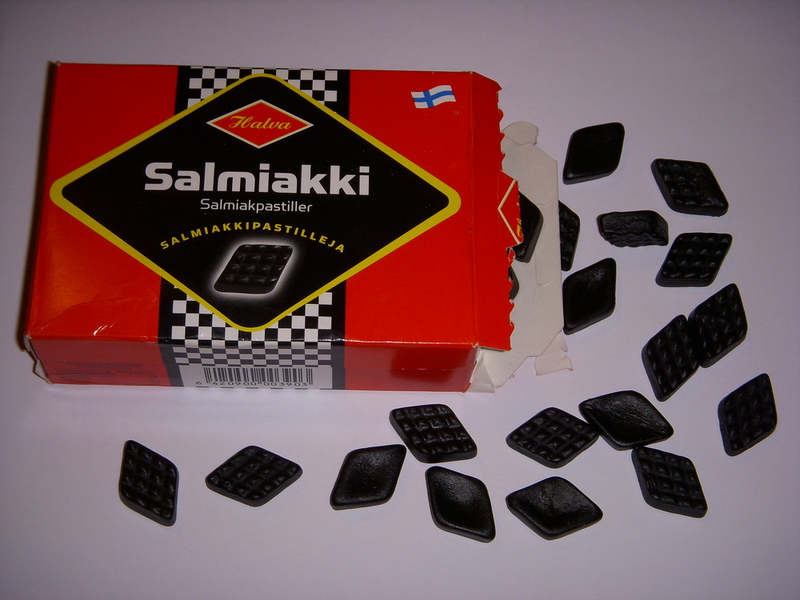 Many foreigners, trying Finnish salty licorice for the first time, spit it out immediately as it simply overwhelms their palette with its overpowering astringent, salty flavor; if you search on YouTube, you can have a laugh watching them cringe as they pop it in their mouth. Prior to eating my first bite of Salmiakki, I was convinced I was going to like this. Unsurprisingly, I did. In fact, I couldn’t stop devouring it! It’s certainly one of those polarizing foods that you one typically either loves or hates. Audrey, ended up spitting it out (which you’ll notice if you watch the video clip above). Salmiakki, is a staple in Nordic countries and is especially popular in Finland. It reminds me of the love affair Aussies have with Vegemite; an acquired taste (or not) for most. While having breakfast at the Finnish Jailhouse Hotel in Helsinki, we noticed a peculiar shaped pie being offered up as part of the breakfast buffet. These pastries, typically made from a thin rye crust have potatoes, buckwheat, barely, rice or millet as a filling. The ones we tried had potatoes inside and were an immediate hit; we both ended up going back for seconds. Known locally as karjalanpiirakat or karjalanpiiraat these pastries are also a quite popular in Estonia. Last but certainly not least is Finnish smoked salmon used as a topping for rye bread with copious amounts of cream cheese and/or hummus spread. This literally became our favorite picnic meal or do it yourself dinner during our short stay in Finland. As salmon worshipers, we couldn’t get enough of this stuff; literally, eating it every day at least once. What enhanced things even more was pairing the salmon with Finnish rye bread. On our flight from Instanbul to Helsinki, we started chatting with a Finnish girl returning home from extended travels. We asked her what Finnish foods she missed the most – without hesitation she stated rye bread. hey! great to see your video in my own country! and blue beer you drank at that video, it is a Finnish Hartwall’s beer but the most popular beer in Finland Hartwall BEAR is a 4.5% beer, here’s a link on the picture: http://fi.wikipedia.org/wiki/Karhu_(olut)! and the other Finnish Karelia favorite beer is 4.6% in this link: http://wikke.kapsi.fi/olut/oluet.php?beer_id=75! and just amazing that one of you had even a mild and fresh salmikkista! my favorite is the turkkin pepper licorice this link to the image: http://www.potku.net/forum/viewtopic.php?p=732144! it is at that you eat a really strong licorice flavor, we eat that which you liked, Usually the kids are eating it here in Finland! and I could not live without the salty liquorice, chocolate, I eat very, very rare! voih … You would have to try the sautéed reindeer, it is an absolute delicacy here in Finland: http://www.cartinafinland.fi/fi/picture/19655/Poronk%E4ristyst%E4+ja+puolukkahilloa.html! Karelian pasty and put the egg on top of a win then it is the absolute number one: http://kokkailuakotona.blogspot.com/2008/12/karjlanpiirakat-ja-puolukkapiirakka.html! Thank you for sharing all of these great options for food in Finland. My readers really appreciate it and I hope I get a chance to try some of these things! I swear that plate is full of magic! 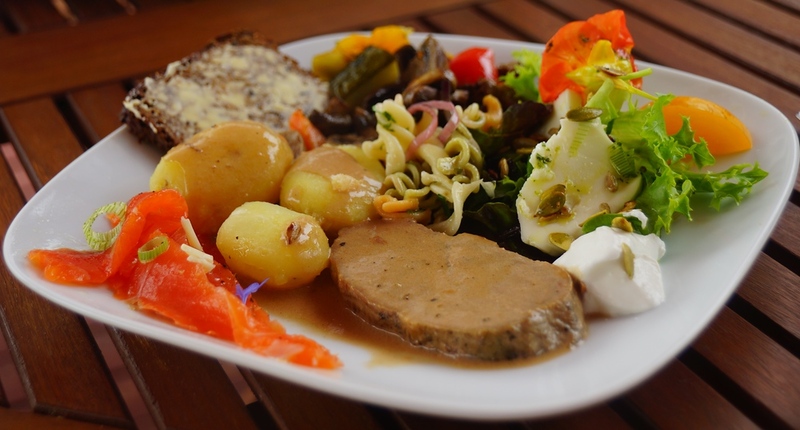 I’m craving Finnish cuisine so much right now! 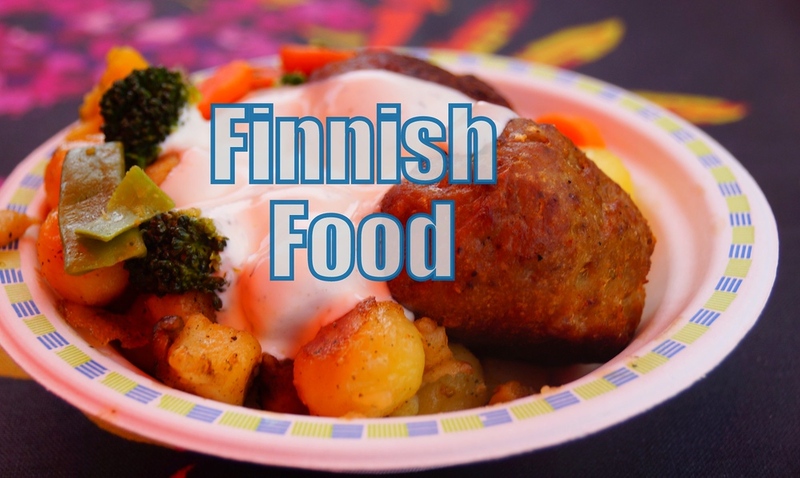 Great shots of Finnish cuisine! A few food allergies unfortunately make me very cautious when I’m traveling, so I always have to sample fewer things then I’d like, but I’m a big fan of collecting packaged snacks from other cultures. 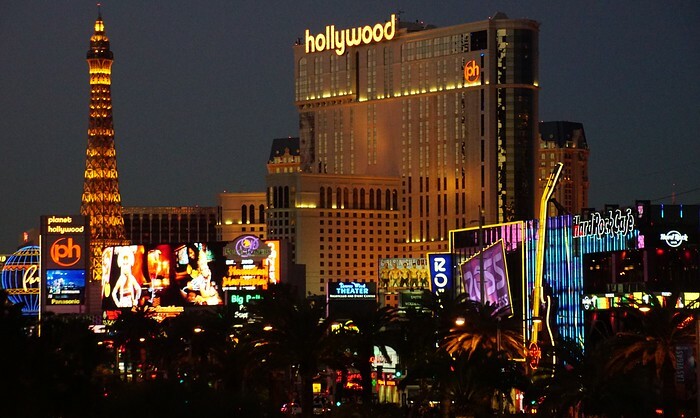 Traveling with food allergies must be frustrating at times. I’m lucky I don’t have any that I know of. Love the video ! All cuisine looks yummy and delicious. Thanks Peter! It truly was amazing food. I miss the salmon the most. I just like salmon anyway as well! hahaha…it would taste good on anything to me. Mmmm this all sounds super tasty! I can’t wait to try it all when we move to the region next year!! That’s great Heather! You’ll really get to sample it all then. I really didn’t know hardly anything about Finnish cuisine until I arrived. I was impressed that most dishes came with a generous portion of vegetables and were centered around fish. Reindeer meat is so good! I’m glad you had a chance to try it. Reindeer sausage is really good too with a little mustard and relish. I wish I could have tried more salmiakki flavored products such as chocolate and beer. I hope you get to go soon Cheryl! Don’t know why this post totally inspired me to go and try local food in Guatemala 🙂 I have absolutely no access to Finnish food, but seeing this makes me want to experience (almost) all foods – NO BUGS. I draw the line there. 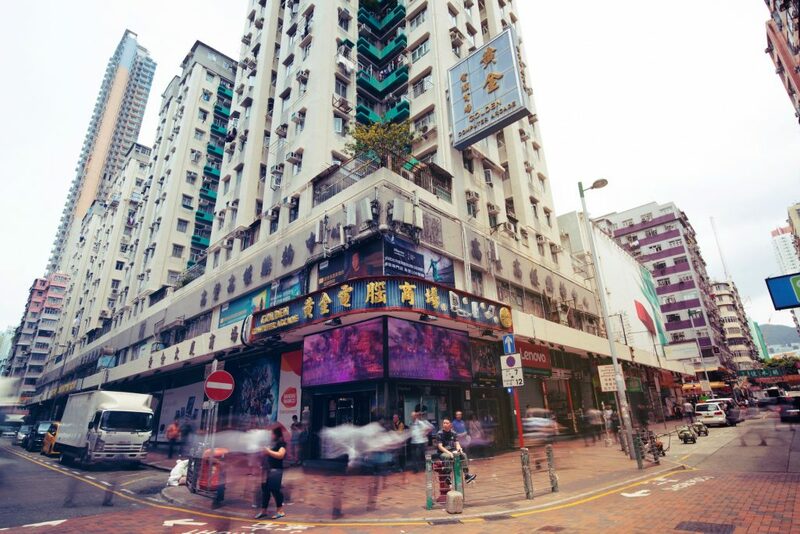 I love licorice, and it’s something I’ve been craving here in HK… just not black licorice! Great video! You can almost taste the Salmiakki and the reindeer meet sounds so intriguing! What a fun and fabulous introduction to the Finnish palate! Off to make some rye bread….! I hope you get an opportunity to try Salmiakki and Reindeer meat soon. I bet your rye bread tastes good!